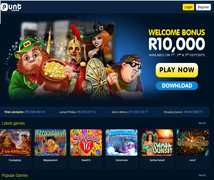 Sun International makes big wins on slots, tables. SUN International, the country’s largest casino and hotel company, yesterday reported a 15% rise in group revenue to R5,1bn for the year to end-June. The company also managed an 87% increase in adjusted headline earnings to R435m, but adjusted headline earnings a share were only 45% higher at R4,11. Growth in earnings a share was diluted by an increase of shares in issue, following the issue of shares for the acquisition of Sun International minority interests last August. Gaming revenue for the period was 18% higher, with slot and table revenues up 19% and 16% respectively. Nedcor Securities analyst Sean Ashton said that the group’s trading performance, particularly in gaming, was good. The growth in South African gaming revenues has been spurred on by the continuing improvement in disposable income and consumer confidence. Sun International CEO Peter Bacon said yesterday that outside of those two factors, the group had managed to increase its penetration of markets such as Cape Town. Since its December opening, the group’s Durban casino, Sibaya, achieved gaming revenue 36% higher than that achieved by Durban’s Sugarmill for the comparable seven-month period. “We have been able to increase our share of the Durban market to 43% and the casino continues to grow,” Bacon said. He said the “star” casino operations were GrandWest, which saw gaming revenue increase 19% to R1,2bn, and Carnival City, with gaming revenues rising 22%. Carnival City increased its marketing effort in the year, and Bacon said the casino increased its share of the prized Gauteng market. Gaming revenues for the Gauteng market increased 14%. After adjusting for the disposals of Mpekweni and Zimbali Lodge, the group’s room revenue for the period increased 4% to R623m. Ashton said the strong rand had negatively affected hotels in the upper end of the market, as guests chose to downgrade. Sun City had an overall occupancy of 76%, a rise of four percentage points on the previous year. The Table Bay’s occupancy levels fell three percentage points to 63%, with the average room rate 2% up at R1352. Bacon said the fall in occupancy was the result of an oversupply of four- and five-star rooms in Cape Town. The group’s Zambian resort, The Livingstone, had room occupancy of 62%, an improvement of nine percentage points on the previous period. African Harvest Fund analyst Mark Ansley said the performance of the Zambian resort was surprising. “It has been a loss-making operation for many years, with the bad publicity surrounding the country’s neighbour, Zimbabwe,” he said. The group said its operations in Botswana, Namibia and Swaziland were weaker than the previous year due to the poorer economic conditions in those countries. 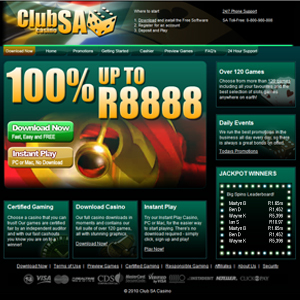 The group increased spending on the investigation of new casino licence opportunities in the UK, Singapore as well as in Africa to R25m, compared with R18m previously.